British Fashion Leather Double Belt Schoolbag Backpacks made of long lasting PU fabric, no fading and no bad smell,British Fashion. We have four colors for you to choose, please refer to above picture and choose your favorite one. 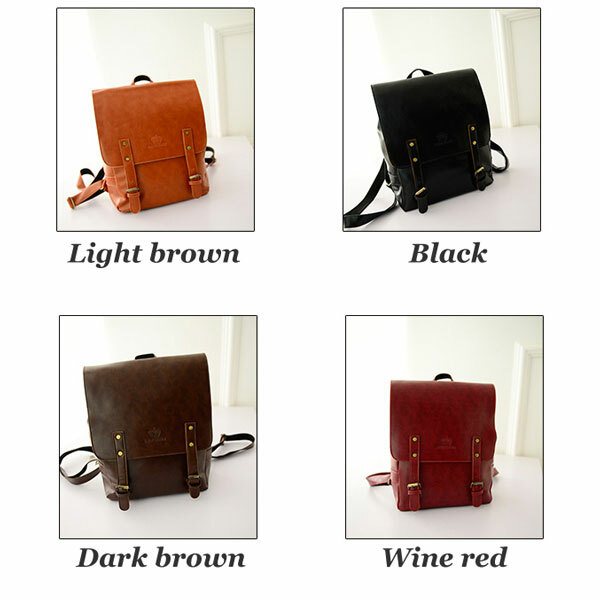 This British Fashion Leather Double Belt Schoolbag Backpacks is very good for school students and young ladies. A good gift for friends too.